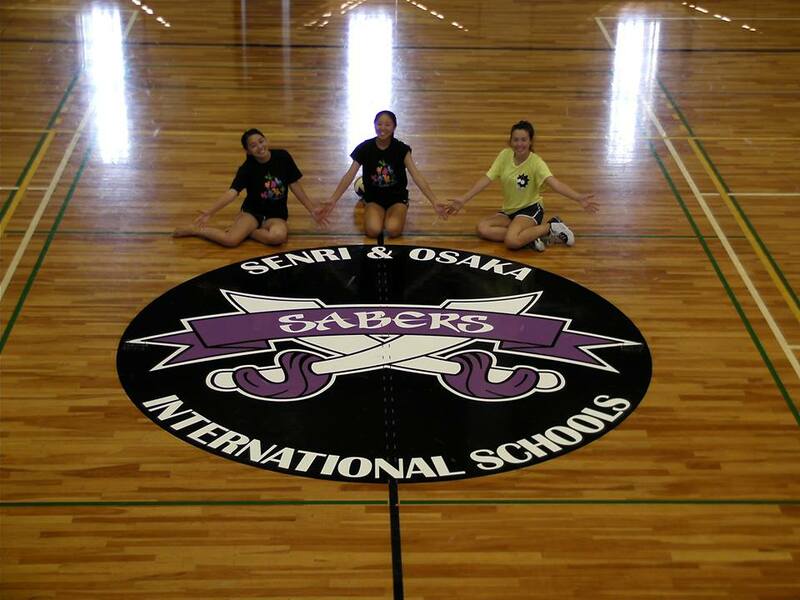 New Sabers court logo, with Sabers graduates. Coach Hirai leading the HS girls volleyball team. January 2013: Sabers OB basketball players taking on the varsity men.